Finding the right gifts for friends and family that they won’t want to return can be one of the biggest stressors about holiday shopping. The worst thing you can do is buy something for someone just because it’s half price on Black Friday. “Oh look, a toaster!” is not exactly the response you want someone to have on Christmas morning. [yes, that Scrooged reference] In all seriousness though, toasters are great to pick up at half price but typically not so great as gifts. 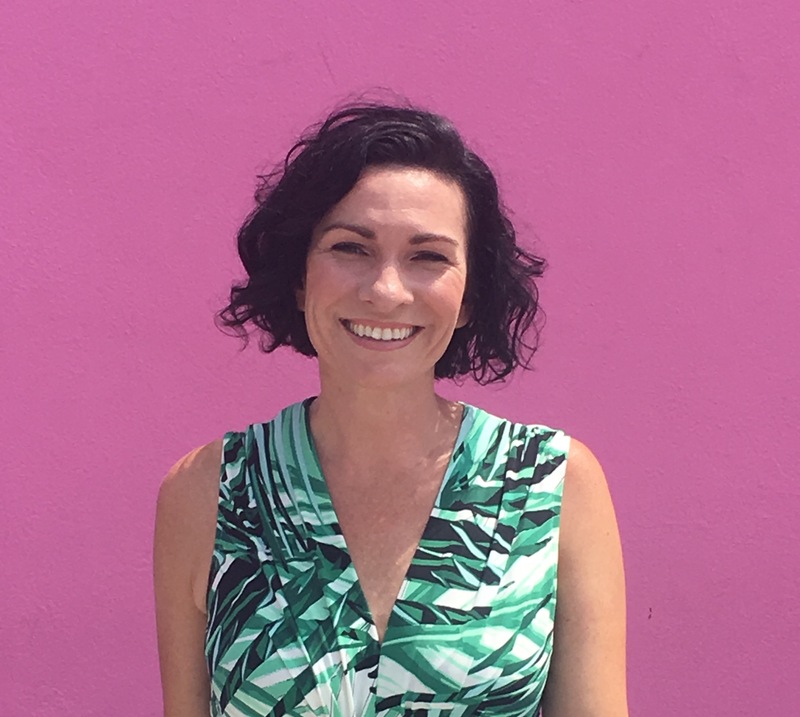 My simple solution for making holiday shopping more productive and meaningful is to shop based on the same things marketers use to get their products in front of their target audiences – psychographics. Psychographics are interests and passion points that we have which make us more likely to want certain things. 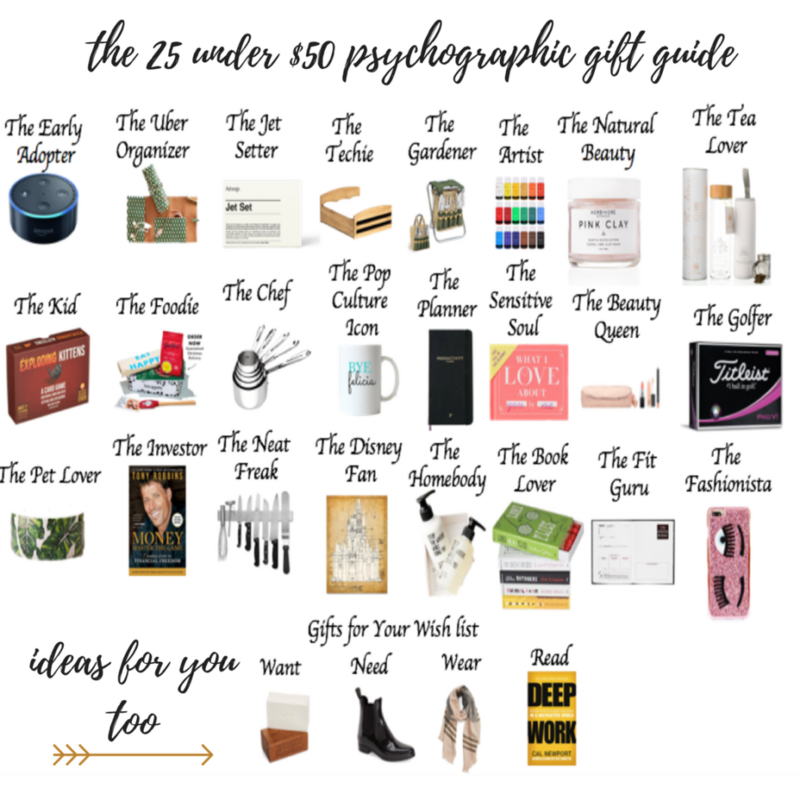 I created this psychographic gift guide for 25 different profiles and their corresponding gift ideas- all under $50. The best thing is you don’t even have to leave your couch on Black Friday. Just click and buy. Holiday shopping simplified! 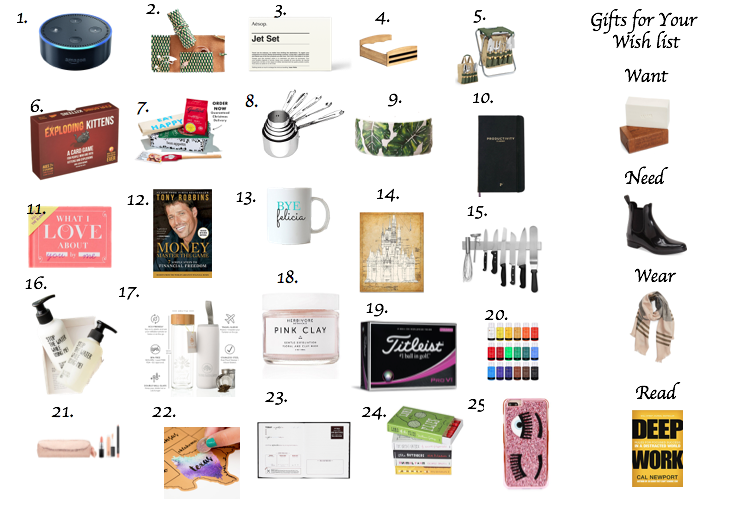 For extra help on figuring out what to buy each person on your list, you can also read my article on finding the perfect gift every time. *Hint- pay attention at Thanksgiving dinner to find out what your friends and family are passionate about. The Early Adopter: Amazon Echo $29 on Amazon Black Friday Sale! I’ve included a few of my own personal wishes as thought-starters for your Christmas wish list.